Immaculate move-in-ready home on a HUGE lot features a detached 700 square foot mother-in-law suite. Located in Forest Hills, home of Babe Zaharias Golf Course & zoned for desirable Gaither HS. This home offers a BRAND NEW AC, newer roof and windows both replaced in 2013. Totaling 1800 square foot, 4 bedrooms, 2.5 bathrooms, this split floor plan has a great open concept perfect for sharing time with family, or entertaining. The formal family room sits off of the combination kitchen, and living room. The kitchen showcases granite countertops and stainless steel appliances. The master suite is massive, and includes a private bathroom, and large closet. Two large drive ways, a car port with attached storage, and a large shed will service all of your parking and storage needs. The mother-in-law suite includes a full kitchen equipped with appliances, a large bedroom, living room, and large storage room. Enjoy your fall season in this AMAZING serene yard, large enough for any future pool plans. 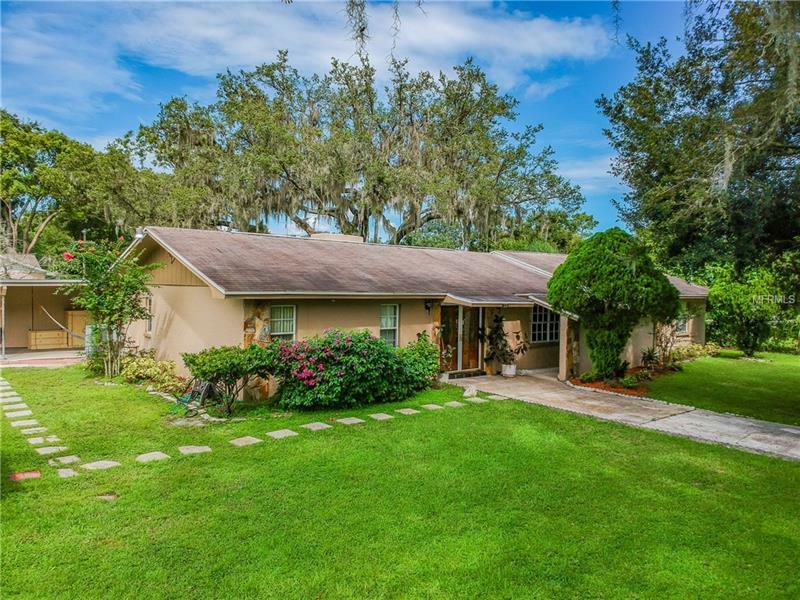 This home has it all and is well located in North Tampa's coveted Forest Hills area, this well-established neighborhood is peaceful, great location & a short drive to restaurants, shops, & downtown Tampa. Call today for your private showing!